Will Orlando Police Catch The Killer of Police Officer? We never know which moment will be our last. Some of us don’t get to say goodbye. Violent death is always tragic, especially because those who remain find it especially hard to get closure. Just like the victim, their family members don’t suspect anything when they get out of bed in the morning. They have no idea that their lives are about to change for ever. Debra Clayton woke up on the 9th January 2017, unaware of the danger she would be facing that day. She was an Orlando Master Sergeant, who was shot after 17 years of serving her country. Her life was ended abruptly after an unsuccessful chase in a Walmart parking lot. The suspect, Markeith Loyd was wanted by Orlando Police, because he had killed his pregnant ex-girlfriend three months ago. The number of his victims is ever increasing since one more officer died during the manhunt. A motor patrolman, Orange County (Fla.) Sheriff’s Deputy Norman Lewis’s life ended the same day. The tragic events shook everyone to the core, and a fund was started for the families of the victims. The manhunt continues, and the reward was raised to $100,000 for information on Loyd. 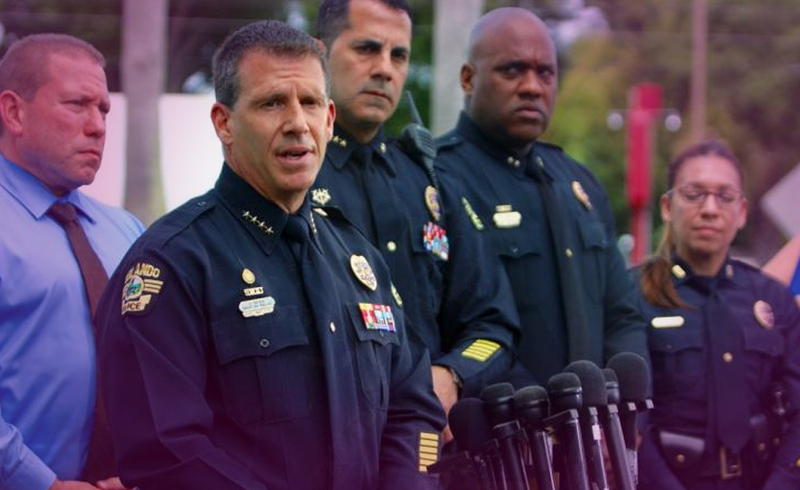 Clayton ‘made the world a better place’ as Orlando Police Chief John Mina stated. Both her and Lewis will be remembered for their brave acts. They are heroes, and hopefully, they haven’t died in vain, and the killer will be caught. Our deepest condolences go out to the mourning families! Now let’s ask the cards what is going to happen in the case. Five of Cups (Reversed): These are painful times, when we recall the past. The future is also debatable, as these tragic events evoked fear. But tragedy often brings a sense of desperation, a sense of ‘revenge’. It is said that the suspect is helped by someone, so it is possible that their conscience will be triggered. Knight of Swords: It seems like Loyd doesn’t care about anything or anyone. He sees everything as a threat, and he would do anything to achieve his goals. No matter what it takes. He is fearless, but this also means that he is prone to mistakes. If one tries to walk in his shoes, think the way he does, he can be provoked. And when he makes that mistake, he can be caught. The Chariot: If everything is under control, victory will prevail. Although this is a rocky road and full of pitfalls, justice will be served in the end. Ending the chase is out of the question, and perseverance and self-discipline are key to succeeding.